Walking beside the Regent's Canal in London from Little Venice to Camden is a wonderful way to pass a few hours. The one-to-two-hour route passes beautiful houseboats at Little Venice, Nash Regency houses, and London Zoo before reaching Camden Lock. To acquaint yourself with London's waterways, visit the London Canal Museum on New Wharf Road in London. Take the underground to the Warwick Avenue tube station and you'll be at Little Venice, named by the poet Robert Browning who lived overlooking the canal in the 1800s. It's very picturesque so the area makes for great photos. If you'd like something to eat or have a cup of coffee visit the Waterside Cafe, housed on a canal barge, before starting the walk. 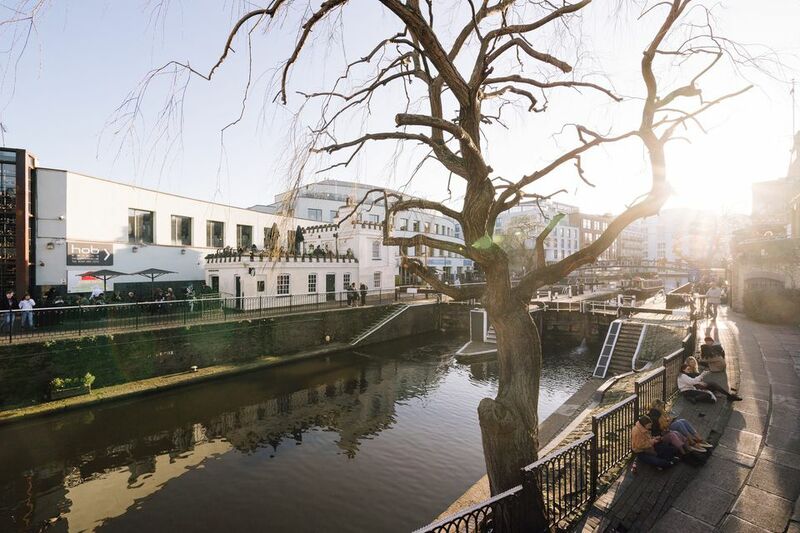 You'll want to be on the opposite side of the canal to walk to Camden. As you walk, there are many things to see, places to shop and dine, and scenery that will extend the length of your walk. But then, that is what makes this a great walk to do. The Canal and River Trust website offers many canal-side walks with maps and photographs. Cafe Laville is a short walk from Little Venice and is right over the Regent's Canal so offers great views from inside. Cafe Laville is a popular place to stop for a cup of tea or a meal. They serve breakfast, lunch, and dinner and feature Italian food. The famous Regency houses, designed by architect Robert Nash and built in the early 19th century, can be seen on your walk from Little Venice to Camden. These homes were for London's wealthy elite—a world away from the lives of the navvies (men who worked to maintain the canals) and boaters who plied the canals. Regency architecture was classical in nature and was loosely based on elements from Greek and Roman architecture. The typical Regency house was constructed of brick and covered in stucco or painted plaster. You'll often see fluted Greek columns and other decorative elements. Regency terraces, or row houses, are seen in many parts of London. The most characteristic Regency designs survive today in terrace housing. Along the walk, you'll often get to see narrowboats on the water. 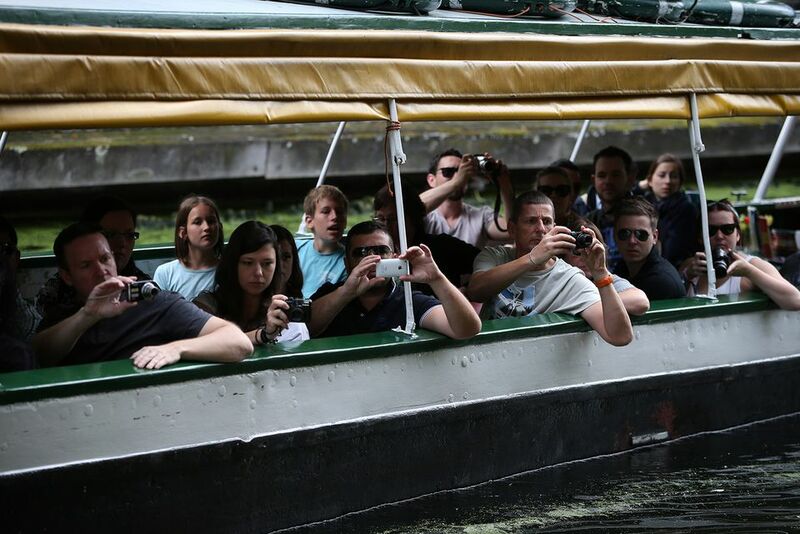 There are canal boat tours, canal boats that you can rent for a vacation and even houseboats. The narrowboats were constructed especially for travel on London's narrow canals. A narrowboat must be under 7 feet wide with a maximum length of 72 feet. Anything wider or longer will be unable to navigate most of the British canal network. The first narrow boats played an important part in the economic changes during the British Industrial Revolution They were wooden boats drawn by a horses walking along the towpath. Eventually, they were replaced with steam and then diesel engines. Many of the newer narrowboats now have steel hulls. You'll reach Macclesfield Bridge on your walk. The bridge is more commonly known as "Blow up Bridge." As the story goes, in the early morning of October 2, 1874, the narrowboat, Tilbury, was traveling down the canal carrying gunpowder to a quarry in the Midlands. The boat suddenly exploded killing three people and blowing up the bridge. It was so much of an explosion that people ran from their homes thinking there had been a massive earthquake. When the bridge was rebuilt, they turned the pillars around so that they offered a smooth surface for boats' towing ropes so look for the rope grooves on both sides of the pillars. The Feng Shang Princess Restaurant was built back in the 1980s and was the first floating restaurant in London. It is in a popular location in a beautiful setting in the Cumberland Basin. The Feng Shang Princess is a large, floating red pagoda-style restaurant, complete with gold decorations and Chinese lanterns. It now offers Japanese cuisine as well. The beautifully appointed restaurant serves lunch, dinner, drinks, and coffee. Even if you don't stop for something to eat, its worth a photo or two. Camden Lock is a great place to leave the canal and shop or dine at Camden Markets. Keep an eye out for colorful London Street Art in this area. The area is considered a counter-culture haven and has a thriving club scene with well-known jazz musicians playing at the Jazz Cafe and the Roundhouse. There are shops and cafes to enjoy. Camden lock is part of Camden Town, formerly docks and stables on the Regent's Canal. It's part of the locks system on Regent's canal and immediately to the north of Hampstead Road Locks, a double manually operated lock. It's fun to watch the boats go through the locks.